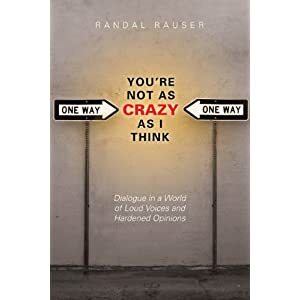 I recently read a timely and prophetic book by my friend and former professor Randal Rauser, “You’re Not As Crazy As I Think: Dialogue in a World of Loud Voices and Hardened Opinions.” I think this book is very apropos in our currently evangelical Christian climate. A climate where people truly do have hardened opinions and don’t seem to have the ability, or tools, to dialogue with others in the pursuit of truth; a climate that has people simply and exclusively reading and listening to voices that reinforce their pre-existing view, rather than challenging it in a healthy way. This climate has been evidenced in the recent Rob Bell “debate” with Rob’s, yet to be, released book “Love Wins.” A book that asks series theological questions that need to be asked, a book that continues a dialogue about a controversial subject that the church has wrestled with for thousands of years. Whatever his view will be in the end, it will definitely not be new and the church will survive. I just would hope that we would at least listen to the arguments before we “pre-condemn” a book and it’s author. 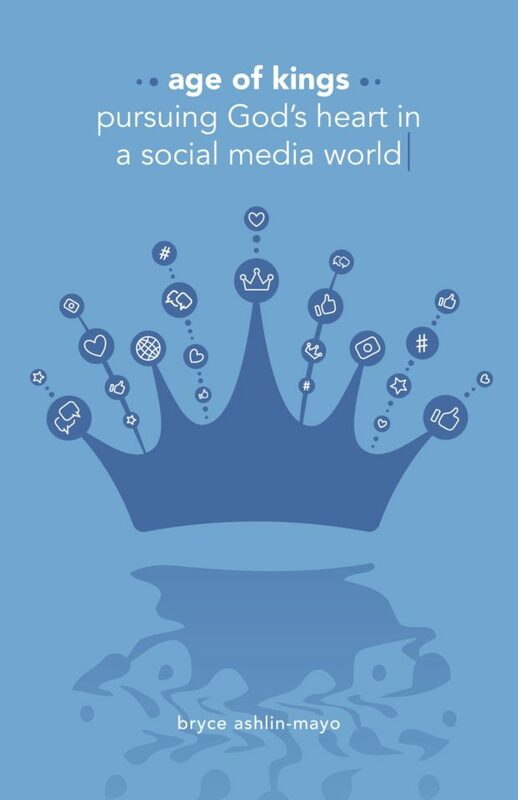 I have to admit that I found Randal’s book to be more personally prophetic than I anticipated. The title says it all but I dived into the material looking for ammunition of how all those whom may disagree with, need to learn to listen more and come to a better conclusion. But something very different and unexpected happened. I ended up full circle and found I was the one being rebuked and corrected in my hardened views that I may not have recognized before. I recognized, quite reluctantly, that I was part of the problem and that I need to learn to listen more to voices outside my own view(s). I may not change the view I have because of them, but at the very least, it will help me to understand the view I hold better as a result (for more on this, see my earlier post here). Randal uses his platform to communicate our common need to pursue truth and what should be our desire to pursue it. Randal uses several examples to communicate his point and although I feel he went into more detail than needed for each example, space that could have been used to explore other topics and examples, it highlights our hardened options none-the-less. One of the things I have witnessed recently, that Randal highlights, is the disconcerting phenomena of viewing those with different views as being morally corrupt (This is explored in his chapter entitled; “Those I disagree with Are Probably Not Ignorant, Idiotic, Insane, or Immoral.”) I have witnessed this disturbing reality recently in the Evangelical Church: In a YouTube video featuring John Piper, Piper makes the comment that the Emergent Church movement is over and determines those apart of it to be in shambles (the implication is that there is moral problems) – a claim he doesn’t back up. I, too, think many of the theological beliefs of some of those in the Emergent Church movement are troubling, but I don’t automatically think the people who hold them are consequently morally corrupt. If this were true, then one could therefore take bad morality as logical sign of bad theology and the reverse, good morality as a sign of good theology. Thus, this is a symptom of the church’s problem: we have forgotten how to dialogue, how to pursue truth and how to listen to others. This book hits the selves at a timely moment in evangelical culture and one that is a must for every theological student and pursuer of truth! Randal practices what he preaches in this book. I can testify to this because I have posted on his blog that everyone is going to heaven (yes, I actually believe that, and my belief is biblically based) and yet whenever he responds to my comments it is always with respect even when he strongly disagrees. Dialogues about competing claims to truth would be a lot more productive if Randal’s attitude was pervasive. I agree Mike…Randal is passionate about his views but is also very respectful of others. We need more of this in our world!!!! Thanks for the comment.